Do you see what I see? No?! Let me help you out. There you go. I'm talking about startups a lot. At least I tweet about them a hell of a lot. Almost all the time. Now what I'm going to do about this is I'll start the Startup Frenzy series in which I summarise my favourite articles about startups I read. I'm going to do this bi-weekly but no money back guarantee, okay? Recently I got interested in how companies get to grow the number of their users, thus started to dig through the web to find articles on the topic. I quickly realised that there is tons of relevant information out there on growth hacking but it's very challenging to filter out the most outstanding and rewarding ones. The articles I find most appealing are usually stuffed with practical advice on how to get users, covering a wide range of growth hacking methods, from the very basics of growth hacking - SEO optimisation - to the advanced techniques, even showing off some tricks people would refer to as unethical - you remember the AirBnb vs. Craigslist story, right? 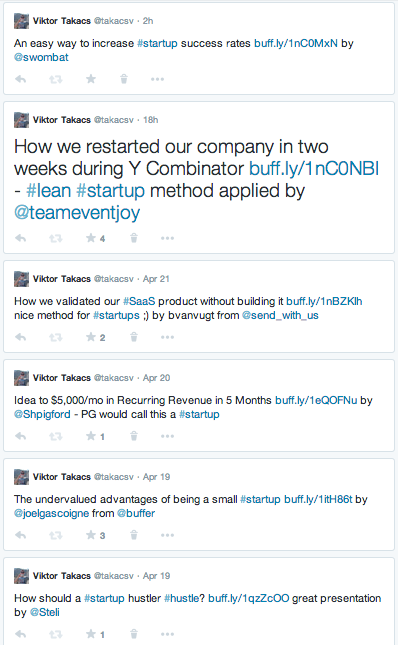 And finally one really interesting article on how to validate a business idea without building a product by @adii. 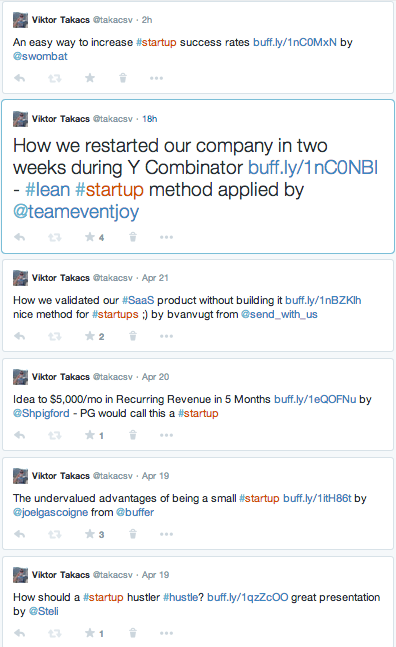 What's your favourite growth hacking article around the web? For the appreciation and acknowledgement. It is obvious that almost everyone seeks for these two things and I'm not different from others in this aspect. Going through the deck of Zach Holman's presentation made me realize that both appreciation and acknowledgement can be earned by doing things that are not a must. Now for me as a programmer there is a self-evident choice of doing side projects. Being a co-founder of a company and running side projects is rather controversial but in order to keep going even in the worst times there has to be something to rely on. I'll give it a try and keep posting the results here. What are your side projects?